The Bar Harbor Motel offers comfortable, affordable accommodations in Bar Harbor, Maine—just a short distance from beautiful Acadia National Park and not far from the quaint shops and attractions in the village of Bar Harbor. The room rates below are reflective of the 2018 season. We are open from May 2nd to October 26th. The following table provides the range of prices over the course of the season. Rates are based on single or double occupancy. See policies for additional information. Click on Check Availability to confirm room rates and room type availability for the dates you are interested in. 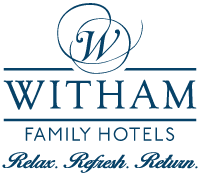 If, when checking availability, you encounter no rooms available, please give us a call at 800-388-3453. We often hold several rooms open and may be able to accommodate you. 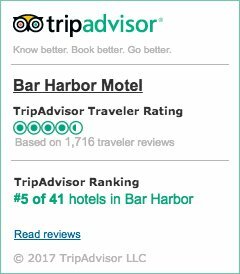 Bar Harbor Motel Room Rates for the 2018 season. Rates are subject to Maine State Sales Tax. Add $10 for each person over 12 years of age. Please note that rates quoted for 2 Queen Bed units are for two people. Add $10 for each person over 12 years of age. A maximum of five people, including children, can stay in a 2 Queen Bed unit with the addition of a cot. A maximum of six people, including children, can stay in a Two Room Family unit. There is no space for an additional cot in either of the two rooms in this unit. Our King Bed units are quite comfortable for two. They are, however, considerably smaller than our 2-Bed Units and won’t accommodate cribs or cots. There are two ways you can reserve your room at the Bar Harbor Motel. Call us at 1-800-388-3453 or 1-207-288-3453 and we will assist you in reserving your room. Use the Check Availability button above to check the rates for your intended stay and make your reservation online. A credit card or check is required for a one night deposit (card is charged). We accept all major credit cards, but prefer MasterCard and Visa. Cancellations made with at least 72 hours notice receive a full refund of the deposit. Cancellations received with less than 72 hours notice forfeit the entire deposit. Check-IN: after 3:00PM – If arriving later than 11:00pm please call for instructions. We try our best to accommodate all special requests, including unit location, however we cannot guarantee specific units. We reserve the right to change units with like accommodations up to and including the day of arrival. Sorry, no pets allowed on the premises.